To find wall space in a kitchen is sometimes hard to come by, so the question of what color to paint them is an important one. Do you make a statement and go with something bold? Or do you let other parts of your kitchen do the talking and pick a neutral color? 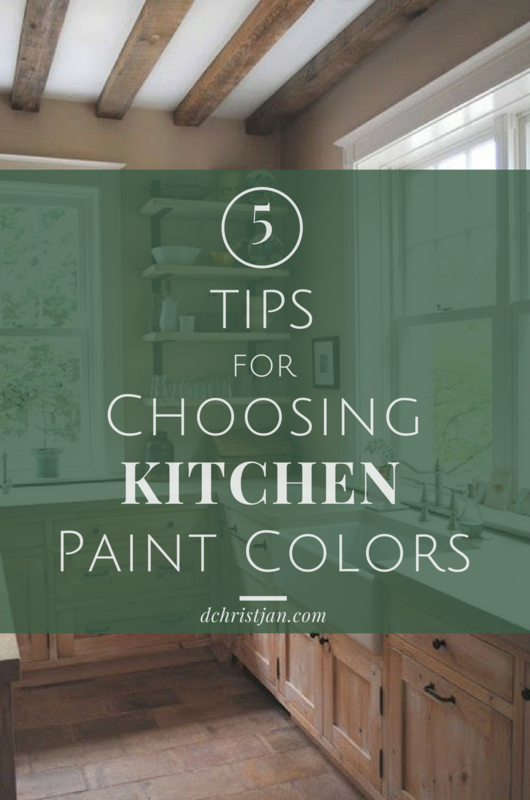 Here are a few tips to help you choose a kitchen paint color. 1. Think about what you are trying to achieve. Colors are known to evoke different feelings. 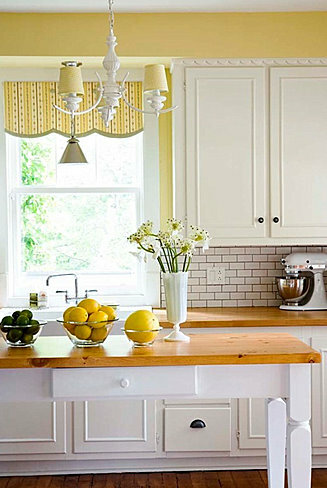 If you want to feel energized and happy when you walk into your kitchen, you may want to consider yellow. If you want a color that feels natural and fresh, green is a good option. On the other hand, if you want to paint your cabinets a fun color, you will want to choose a neutral such as cream or gray for your wall paint to compliment the fun. 2. Take your cabinets into consideration. Speaking of fun, your cabinets, countertops, backsplash, and other elements such as fabrics and appliances are all opportunities to bring in color. You will want to take this into consideration when picking a color. A popular trend right now is bold cabinet colors. 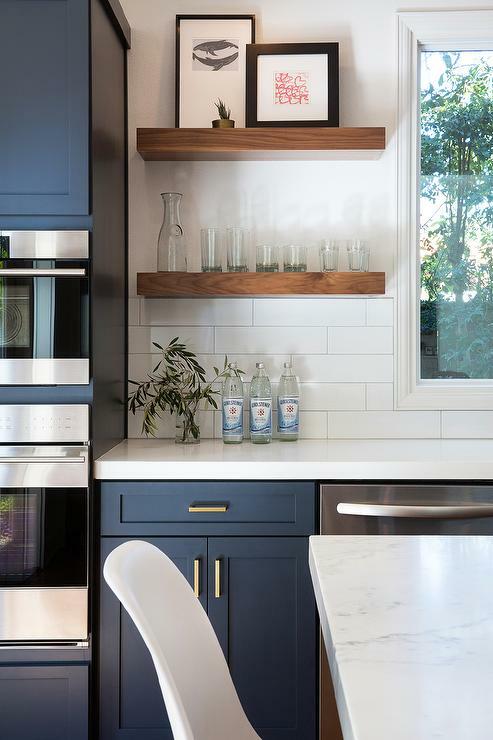 We’re loving navy blue cabinets, and that is something that you would definitely want to match up with a crisp white or other neutral. 3. Make it cohesive with the rest of the home. When choosing a paint color to go in your kitchen, you’ll want to think about the overarching color palette of your home, particularly if your kitchen has an open floor plan. Try to pick colors that complement one another and have similar undertones. You want to create a flow from room to room. 4. Test out paint samples. Trust me, spending the extra few dollars to buy paint samples will save you a lot of headache in the long run. A color takes on a whole other personality when it’s on an entire wall then when it’s confined to a tiny paint chip. You need to see the color in the room where it will actually be to see how it reacts to different lights and how it looks with your floors, fabrics, and cabinets. I mentioned this briefly in tip #3, but it’s important, so it deserves it’s own tip. Nothing can ruin a good design like clashing undertones. Colors that you think go together well can be slightly off because of their undertone. How do you determine an undertone? I’m glad you asked! The easiest way to do this is to get paint chips in the same color family and compare them. When comparing the colors, undertones that were once indeterminable will become more clear- one blue might have red undertones while another has green. Apart, you couldn’t tell, but once you bring in other blues, you’ll be able to see the spectrum of undertones. At the end of the day, picking a wall color is all about what you are trying to achieve- do you want a crisp, clean look? Something more traditional? 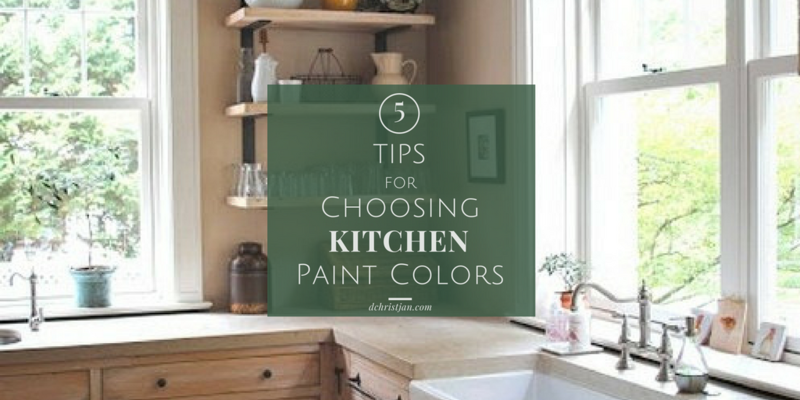 Knowing the end goal of your kitchen can really help you when it comes to picking a paint color. My wife and I have been wanting to paint our kitchen every since we bought our home and we just haven’t had the time to do that. I liked that you had mentioned that before painting your house that it can be important to make sure that you test out paint samples in your home. My wife and I will be trying out samples in our kitchen to make sure it fits with the theme we have, we’ll have to start looking for a paint store to buy it from. 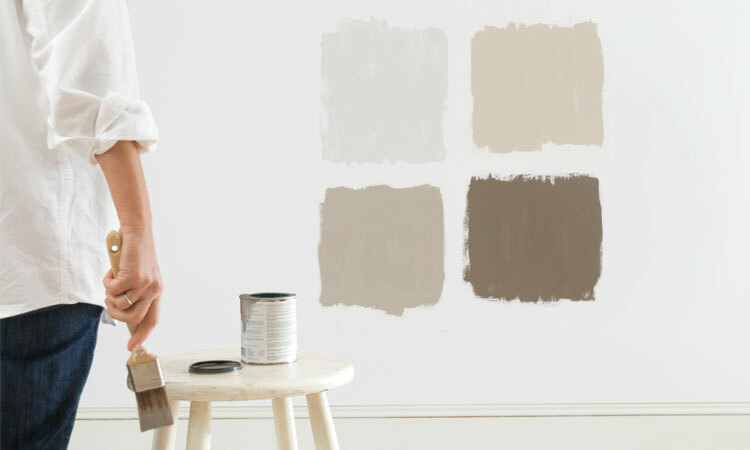 I am the person who has painted and repainted and repainted rooms because I couldn’t figure out the answer to this simple question, “Why did the paint color in the store not look like the paint color on my wall? I have just finished remodeling our kitchen and my wife asked me what color should we paint the walls and cabinets. Basing on your examples, an off-white wall and gray for the cabinets would do just fine. I suppose the whites would illuminate the space and the grays won’t show stain as obviously and is muted enough that it’s not too obtrusive. It helped a lot when you mentioned how you need to think about what you are trying to achieve when choosing paint for your home. I agree with you in that it is important to think about this since it can help you choose the style that suits you best. As I see it, taking the time to consult with a professional painter can also help you find the best paint for the type of space you want to change. I totally agree with you in that considering testing several paint samples can help you avoid headaches. It is important to understand that preparing yourself beforehand can help you get the look you want your home to have. Personally, I would also want to take the time to consult with a professional in order to find the best way to paint your home. It was nice how you suggested getting paint samples in order to determine which type to use. I also liked it when you mentioned this is best done in an area where a lot of different lights hit. that would be the living room since in the morning we rely on sunlight to light the place up, then in the evening, we use the main light. We’ll consider this since we made a mistake about the paint color back then. I do not want to make the same mistake again. I liked what you said about testing some paint samples. 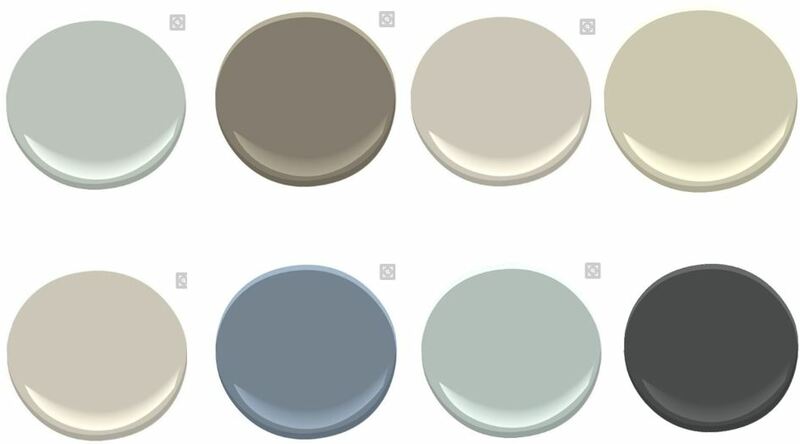 I have been thinking about repainting our kitchen, but have been having a really hard time deciding on which color to go with. Paint samples is something that I’ve never considered. We’ll definitely try this out and hope that it helps.